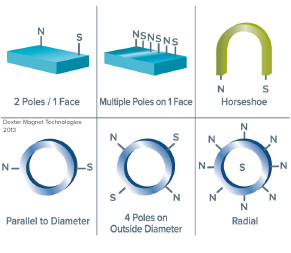 Isotropic magnets, such as Bonded Nd-Fe-B, are unoriented and have no preferred direction; therefore it is possible to magnetize them in any direction. Almost all other materials are anisotropic and have a preferred direction of magnetization. They will exhibit the best magnetic properties when magnetized in the direction of the grain. Higher magnetic flux densities can be achieved with anisotropic magnets that are magnetized in their direction of orientation than with isotropic magnets. 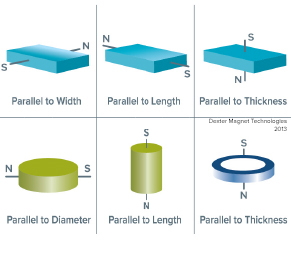 Need more details on magnetization patterns? Contact us.